The American Bully breed was founded in the United States in the mid of 1990s also recognized by the United Kennel Club on July 15, 2013. 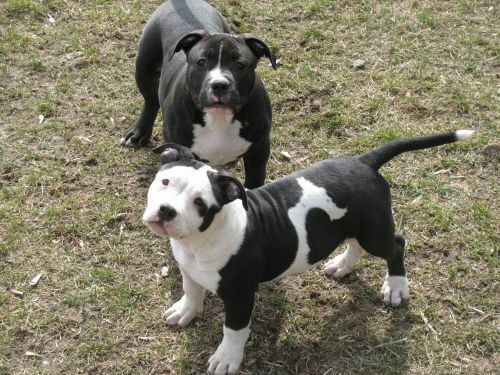 They are augmentation from the American Pit Bull Terrier breed. The ultimate goal of creating this breed was the best family companion. They are selective breeding which means the characteristics and their temperament are artificial ones. So they are influenced by several other breeds like English Bulldog and Olde English Bulldog. Even though they are selective breeding, they possess the peculiar temperament is ultimate companion to their owners. They have proper muscle tone. They are a good family dog. They are very active and agile because of their head and body proportion are balanced. Even though they are a smooth coat dog, they have a great strength because of their size. The super power of this dog possess tremendous stamina and power. An ultimate are essential for maintain the proper muscle tone and also avoid the gain of overweight. 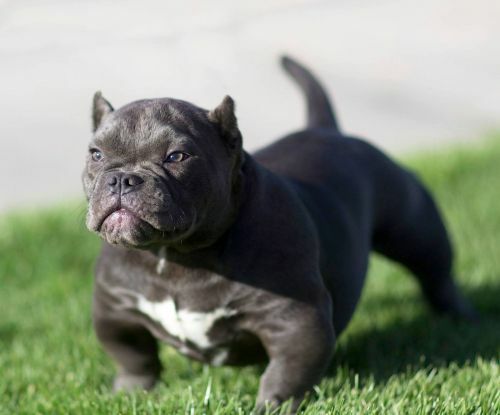 The American Bully dog possesses the intense energy to do well in performance and showcase their talents in the events. They have medium and large size compact body than the other varieties. The impression of this dog gives little bit rough and tough. But their behaviour is so gentle and also easily mingle with the people and fellow dogs. 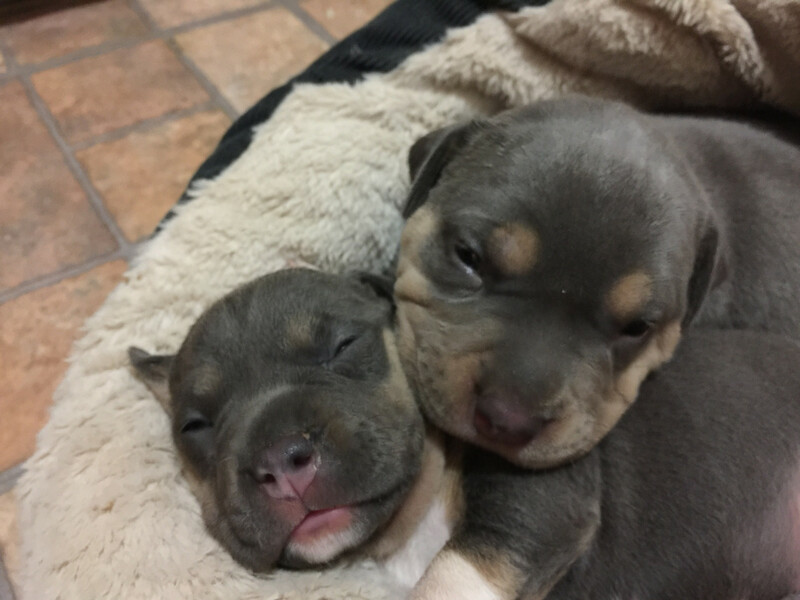 The Classic kind is the inspired American Bully. They are light weight than the other varieties. So they have lighter body and less body mass. They have bones substance only not in buff. The pocket bully possess the same characteristics and appearance of Standard bully. But the only one difference between both of us is height. The pocket bully is shorter than Standard. Even though it is a pocket bully it does not fit in anyone’s pocket, just for kidding. Extra Large bully have heavily muscled. So they are very impressive according to the appearance wise. 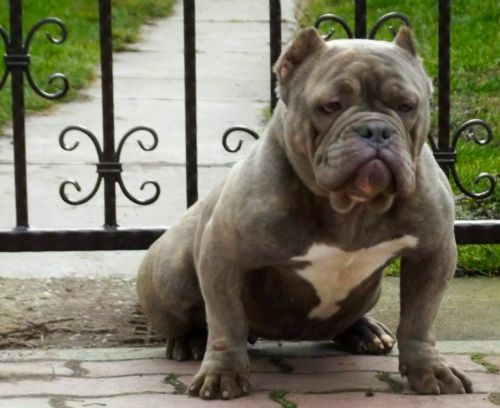 This is also similar to the Bully Standard, they are same in characteristics, temperament and appearance. They are easily weight gaining. Some bully breeders give drugs to their dogs. For the purpose a large muscular body and glossy hair. When the drugs are stopped the dog’s body shrinks back down to a normal size and the hair fall may happen. But it will made many health issues to their dogs, especially it will create organ and joint problems. So better to avoid the usage of drugs. Sometimes drug’s impact can passed from mother to puppy. If you are adopt a puppy in the market be sure you can find a drug free dog. It will be avoid heritage issues also. If the Bully have Cherry colour eye, are often affecting by the ectropion and entropion disease. It causes the eyelid is turned outwards away from the eyeball. This breed is naturally have glossy hair. So we can easily groom it. If we are using the dry shampoo and brush the hair as necessary for improve the hair’s health. After bathe rub with a piece of towel because this breed is average shedder. Vaccination should be the top priority for pets. It will prevent the dogs from rabies. Keep the health check-ups frequently at least once a year. The worms can easily affect our breed. But we are not easily found unless bully avoid having the food and also checking bully’s waste matter. De-Worming can be prevent by checked every three months to the veterinarian. Vitamin supplements can help your bully’s nutritional health. 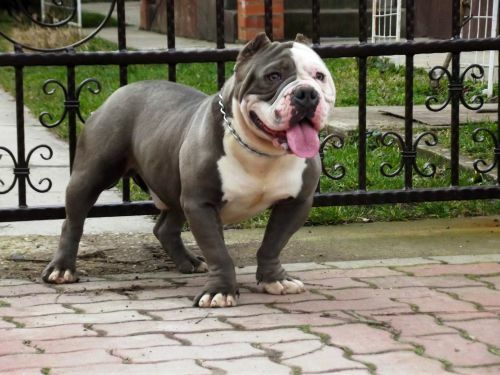 There are a lot of vitamin supplements are available in market, but we recommended choosing the best American Bully supplements. The best food for bully needs quality meats that contains high protein rich and fat. Keep doing exercise is improve the bully’s physique. They are very interested to chase Frisbee. But swimming and walking will be good for them. They are keen bond with master and their family members also like to play with fellow dogs. The American Bully is ultimate family companion. They are very loving and gentle with the people and their fellow dogs. They are extremely affectionate with family members. This breed is the best companion also obedient to their owners. It is very intelligent because they have a decision caliber. If anyone make harm to their master, it will aggressive and ready to bite those people. This breed possesses the loyalty and amiable. They are love to play with kids. This breeder have unique character like extreme tolerance with children. Even though it may be calm in nature, you have to frequently monitor while playing kids with dogs. The breed is versatile and capable of accomplishing a wide variety of tasks. Like Frisbee, swimming, hide and seek and throw ball. If athlete train the dog they are perform and showcase their talents in the events. Even though they are outgoing dogs, they strictly follow their rules instruct by the master. They are obedient and trustworthy. American Bully will do okay in an apartment living. Even though they live in moderate weather, they prefer warm climates only. They are love to live with people or even fellow dogs.